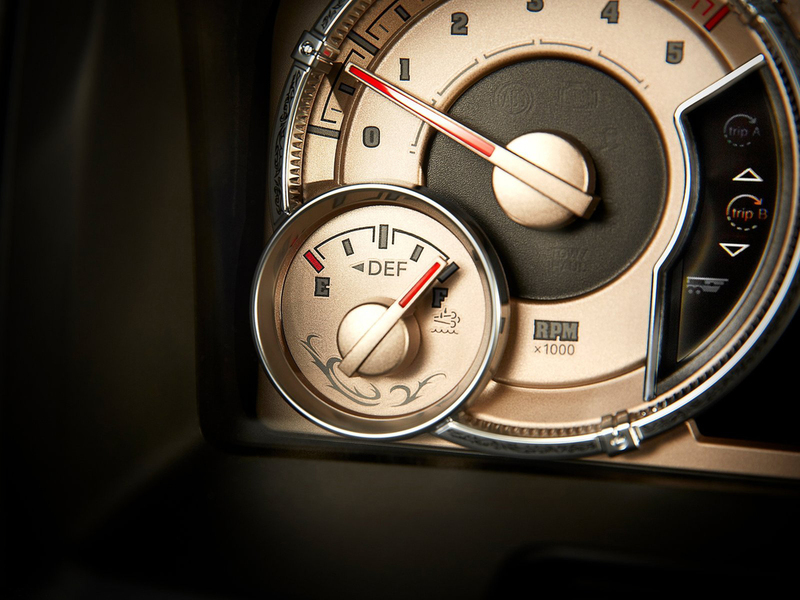 Ram is known for its ruggedness, but the details are what truly make the brand stand apart. The gauge designs I created are robust and take cues from heavy machinery while still maintaining the high-tech feel. Inspirational image board for Ram's handcrafted hard working design approach. 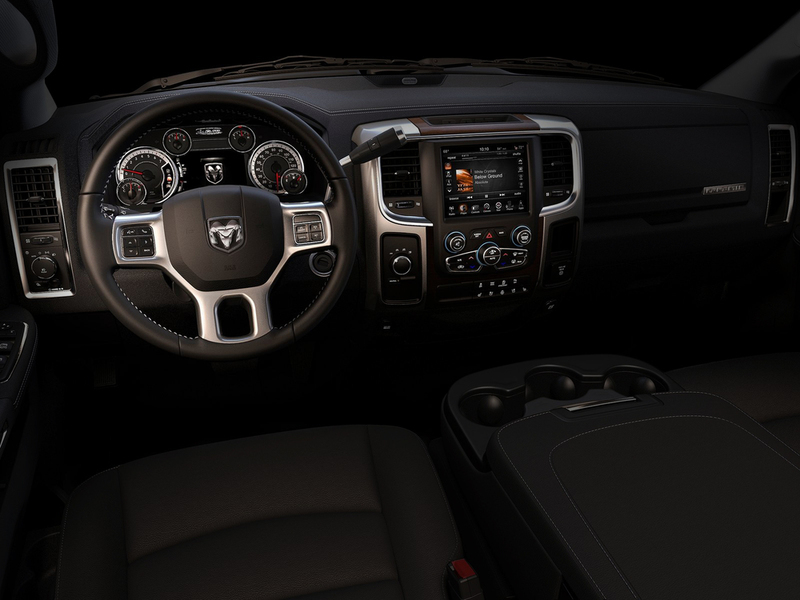 The Ram Brand has a wide range of consumers - from the daily driver for a heavy-duty construction worker, to the weekend toy-hauler, to the luxurious ranch ride. Creating a set of digital graphics that could be used for many different trim levels and cater to all these different drivers is my biggest challenge. I accomplish this by keeping the visuals clean and simple. A bold, sans serif typeface and neutral colors ensure legibility while complimentary display fonts portray the vehicles personality.